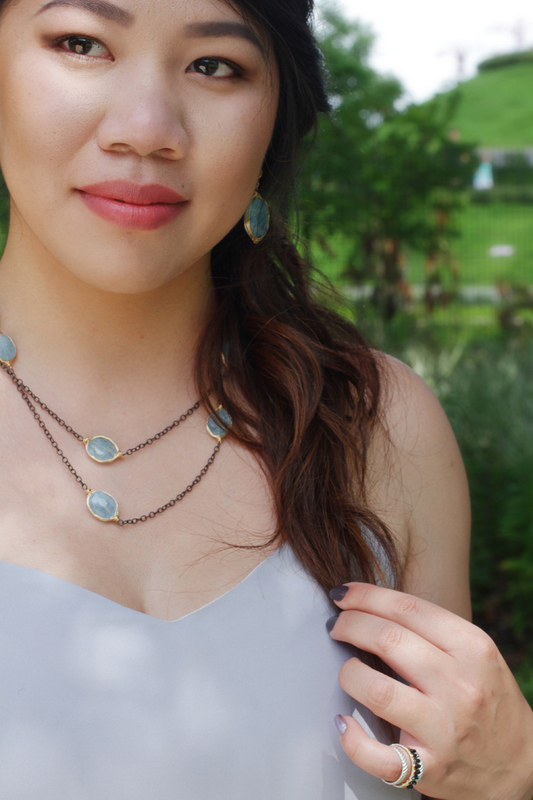 Native Texan Mirta Tummino discovered her talent for jewelry design while working for a Fortune 500 company in Chicago. Her part-time design and metalsmithing studies at the Lillstreet Art Center quickly became a passion when she started selling her one-of-a-kind designs in Chicago area boutiques. As demand grew, Mirta was able to fulfill her true calling and become a full-time artist. Moving back to her native Houston opened new opportunities for her collection and she soon realized her colorful gemstone jewels were a perfect fit for the museum with the world’s finest gem and mineral collection. Handpicking her stones, Mirta complements classic gems like aquamarine, labradorite, and blue topaz with the less common kyanite, Russian amazonite, and black opal. 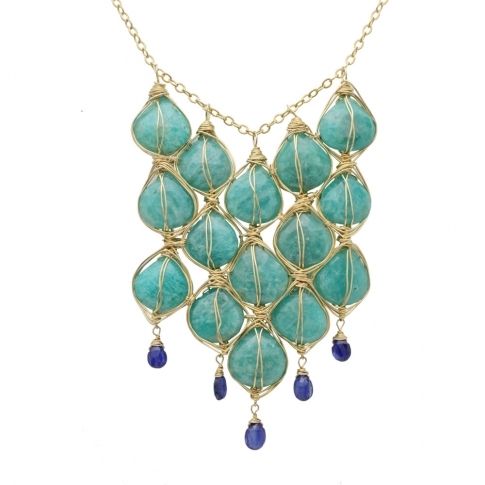 Each stone is delicately wire-wrapped in sterling or gold vermeil to create an intricately precise bezel. Mirta will make an artist appearance Friday, Aug. 7, from 10 to 4 p.m at the Houston Museum of Natural Science Museum Store. The entire Mirta Tummino collection will be 20% off the day of the show, plus membership discounts.